Yes, it is that time again. Reveal time. 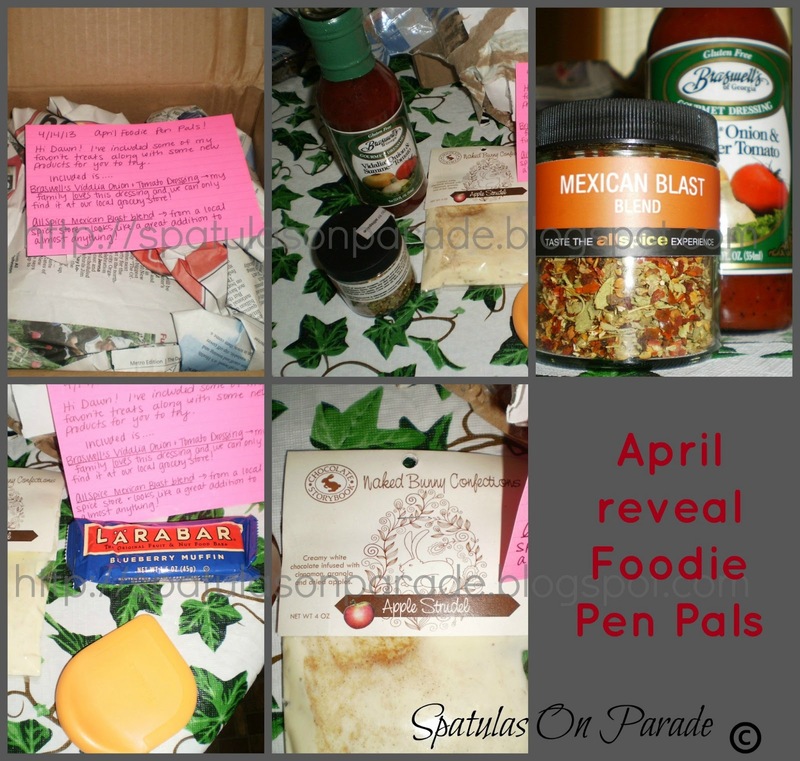 I have been part of the Foodie Pen Pals program for some time now. It is always so much fun, meeting new people, send packages, receiving boxes of goodies and then figuring out what to do with them. No idea what I'm talking about. Let me tell you. This month I sent my package to: Carole R of Cybercooks Cooking Corner and you can visit her to see what I sent and how she used it. I'm looking forward to it. I received my package from Jessica C who is a reader. Thanks so much Jessica. Here is what I received in my box. I had not had a Blueberry Larabar and it was very delicious. The Mexican Blast spice mix is great. We eat a lot of Mexican food and I have used it twice so far. Once in my Taco Salad found HERE. 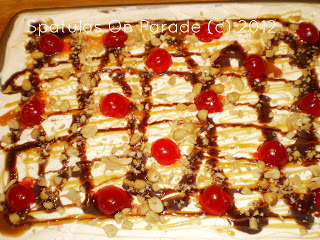 the white chocolate apple strudel was great after I let it firm up in the fridge. LOL we had a warm day and it melted. 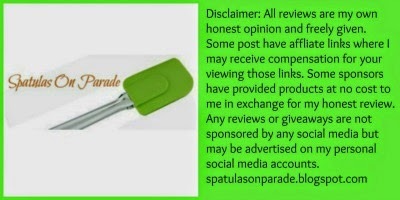 I love the scraper and have not tried the dressing yet but am sure it will be fabulous as well. THANKS again Jessica. Kathe with an E celebration : that's what you have stumbled upon. My dear friend is celebrating and myself, along with 11 bloggers, are helping out. Link up, check out new friends and party with us. 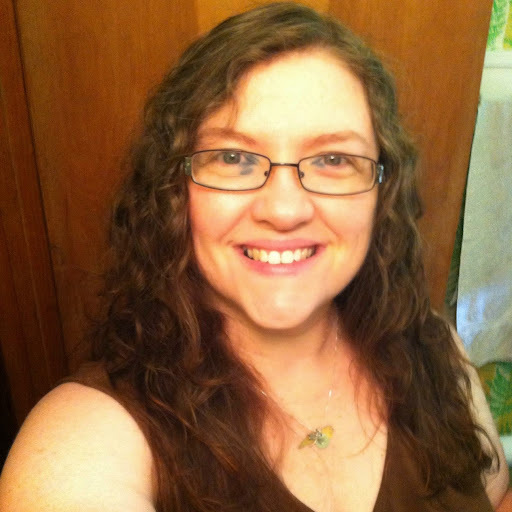 blog party at Kathe With An E went live!! I know! A whole year ago! I cannot freakin' believe it myself! make the party as fun as possible each week. but, my readers, my friends, YOU! feel like their posts are being showcased to their full potential. I reeaally love hosting it each week. I've grown too and I have learned a ton! but, for your comments too. I truly do love "talking" with you! life long friends and I hope you have too! Now, we just gotta celebrate right? help me by co-hosting this week. you are getting 11 times more exposure! I will also have no limit on how many posts you can link up! All I ask is that you keep it clean and family friendly please. You're Gonna Love It Pinterest board!! Again, more exposure for you!! Last week my husband came home with a bottle of DonQ coconut rum. A customer had given it to him. I said, but we don't drink rum. His response was, "well, I'm sure you can come up with some recipe to use it in". 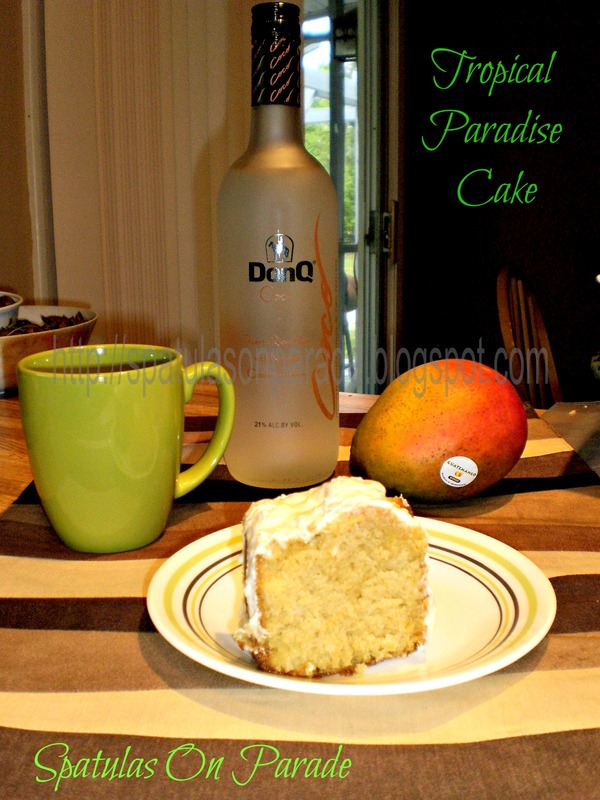 Well, that was a challenge and of course to me that spells F U N.
I had some mangoes, which I had been thinking about pureeing and putting in a cake or cupcakes. I thought, hey, a tropical cake. Rum, coconut, mango, sounds good to me. So off I went to the kitchen. Pureeing the mango in the food processor did not give me enough liquid, so I used mango nectar that I purchased from the Latin section in the grocery store. Now, I do not drink and my husband is not a rum fan, so I went LIGHT on the rum. 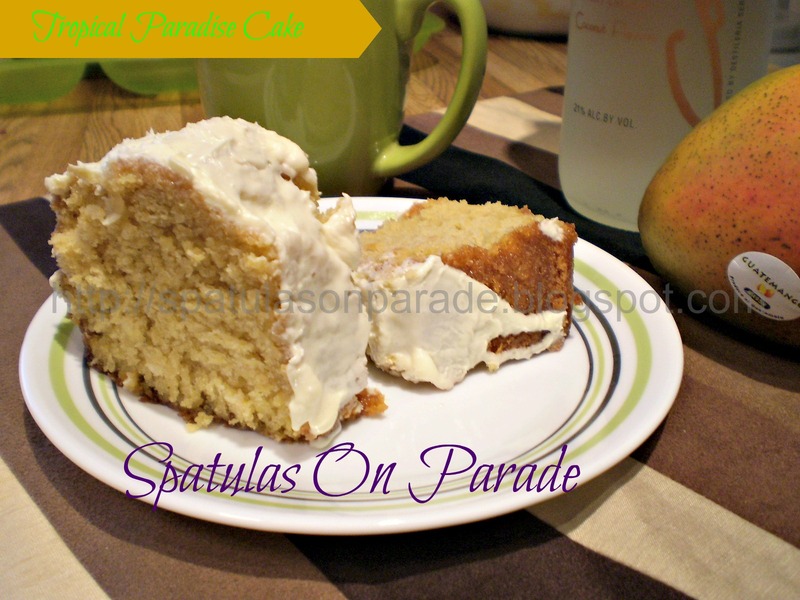 You could add 1/4 cup and cut out 1/4 cup of the mango or follow my recipe, that is your call. In a mixing bowl place the butter, eggs and run. Allow to mix well. Next add the mango and pudding. Blend thoroughly. Combine these ingredients and stir well. Add to the above mix slowly and blend well. I mixed all ingredients with my Kitchen Aid Stand Up Mixer. Spray and flour a bundt pan and pour batter in. Pre-heat the oven to 350 degrees. Place the pan inside and reduce the temperature by 25 degrees. Bake for 55 minutes. Turn off the oven and open the door. Let the cake set for 10 minutes. Remove and invert onto a plate and wire rack. Allow to cool and pour frosting over the top. Happy Saturday evening folks. I do hope you are doing well and that you are having a great one. Last week was not a great one as far as the blog party was concerned. I do apologize again for the inlinkz snaffu that caused the party to not work for several long grueling hours. Even with that, you were all faithful in linking up, sending me messages and visiting others. YOU folks ROCK no doubt about it. Here are the top 3 veiwed post from last week. And I can see why. 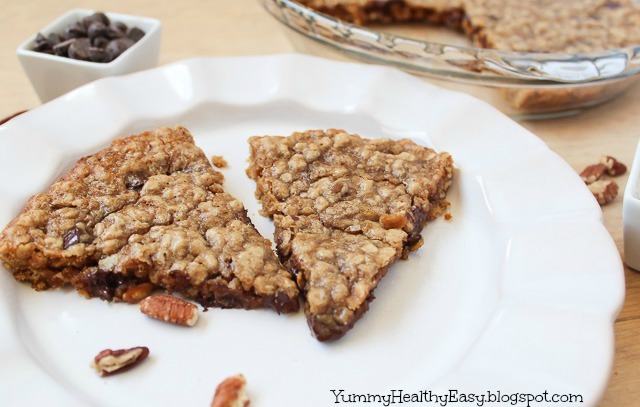 The skinny granola cookies wedges I made and well, let's just say it's a good thing the recipe makes ONE pie pan, because who knows how many I would have eaten. LOL addictive so tread lightly. 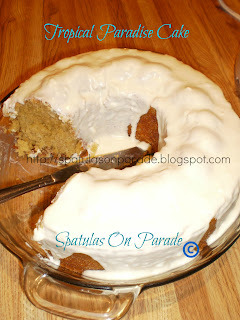 Ladies be sure to grab the "featured" button to display on your recipe, blog or a link party page. Whichever you have is fine. THANKS so much for linking up and congrats!! 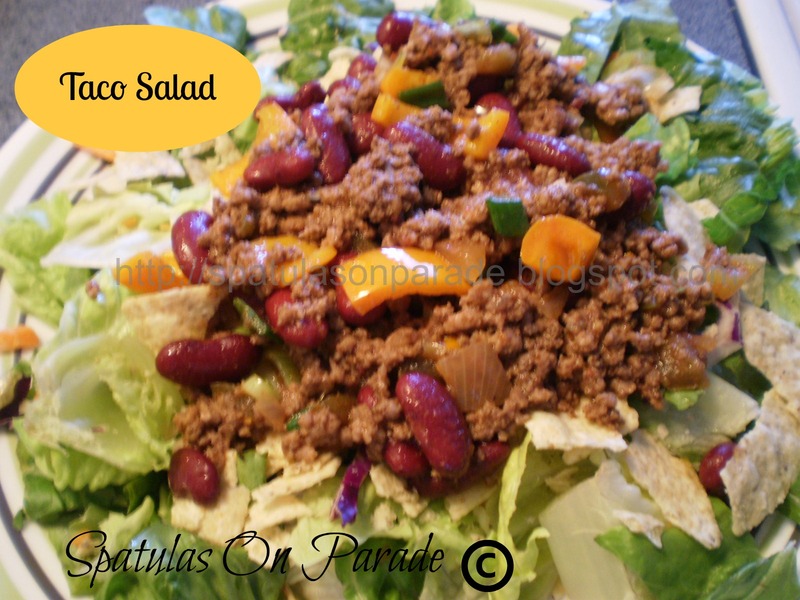 One of my favorite quick and easy go to meals is a taco salad. So easy to throw together, with or without meat, add beans and rice if you want and have time. Otherwise, it is as quick as 20 minutes start to finish and on the table. 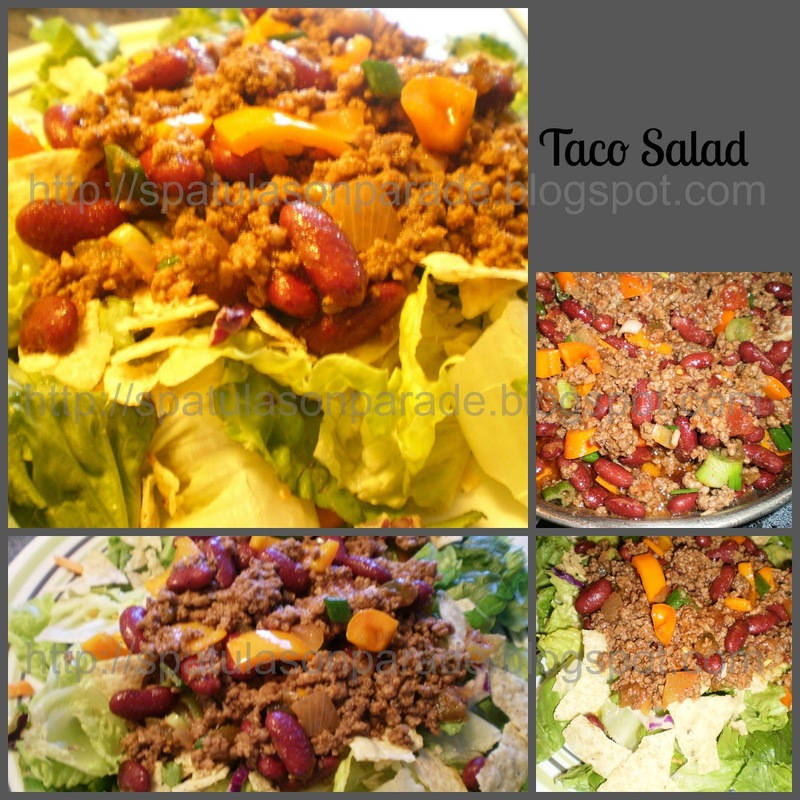 This time I made my taco salad with Mexican blast spice blend that was part of my Foodie Pen Pals box this month. You can read all about it here on the 30th when the reveal is posted. Otherwise I normally use my own Taco Seasoning Mix. In a pan add your ground beef, seasoning and water. Break down the meat and cook until done. Now add the beans and stir well. Cook until the beans are heated through. Lastly add the veggies. I don't like mine mushy so they are not left in for long. I cook them until they start to get tender but still have some stability to them. Top the lettuce with the meat/bean mixture. Sprinkle with shredded cheese, sour cream, guacamole, salsa or whatever else you like. Sometimes I serve this with saffron rice. I used to add fresh or frozen corn to the mix but am cutting out GMO foods. Frugal living, something we all seem to be doing these days. Who doesn't need to save money, spend less and enjoy life more? 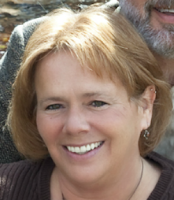 Check out my friend Cynthia at Feeding Big and more, she has a series on Fridays and I am guest posting there today. Hop on over to see what I shared. 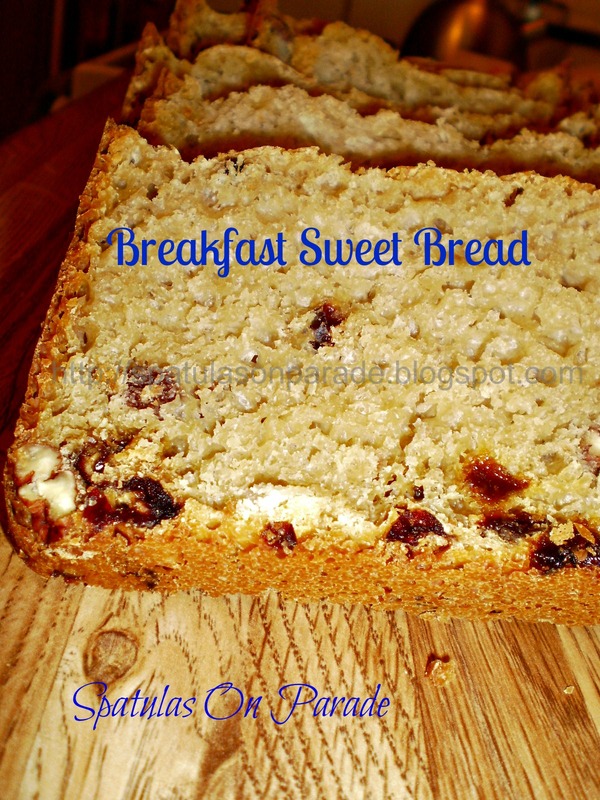 I was in the mood for a great breakfast bread, not your typical cinnamon raisin. Not there is anything wrong with that. Just wanted something a little different. Also, I've been using my honey powder in different recipes to see how it works. I have used it in oat bars, sorbet and now this bread. All have turned out great. What goes with sweet bread? 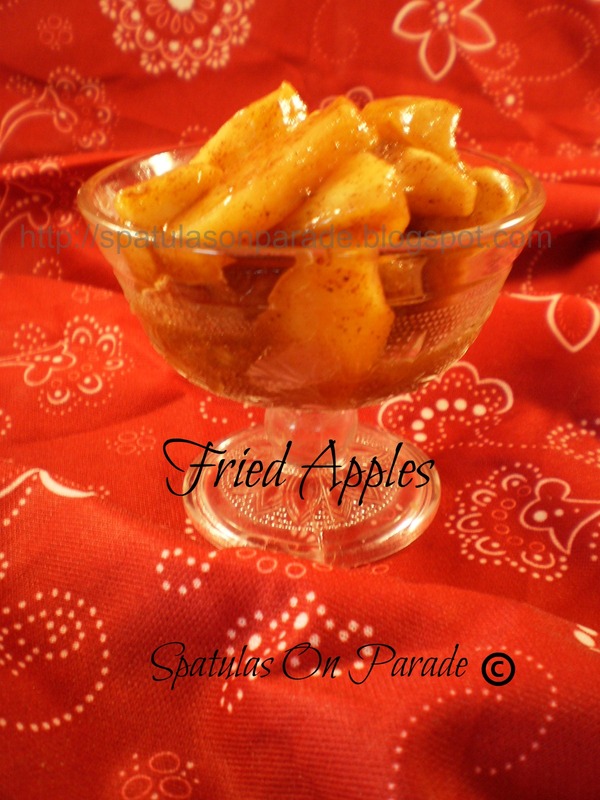 Jelly, or toasted with butter, eaten plain, with fresh fruit or use it as a decadent french toast and top with Fried Apples. Oh yeah baby. Don't fret, I made this bread in my trusty bread machine. Dump and go. Love it. Add ingredients as your machine recommends. Mine were added top to bottom in order. No you didn't miss it. Mother's Day has not come and gone but is quickly approaching. Do you have a list of things you would like? Does your family go out to eat or celebrate in a special way? When I was growing up we always went to church with my grandmother on Mother's Day, she wore a Mother's Day corsage and we ate at the church grounds. IF we did not eat there, we went to our favorite seafood place. It was a day of family, fun, food and celebrating. I don't remember gifts being given except for flowers. My grandmother loved flowers, so each of her girls gave her a potted plant that would be placed in the yard later. My mother, like her mother, loves flowers. I rarely am home for Mother's Day and we usually eat out. My boys almost always made me a handmade card, which I adored. 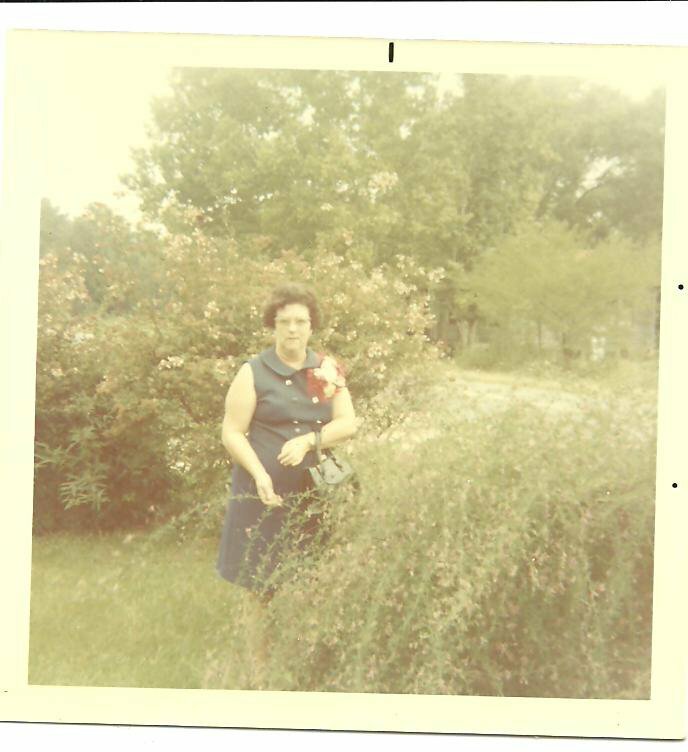 Here is my grandmother in 1970 wearing a corsage, it was taken either Mother's Day or Easter and I'm not sure. 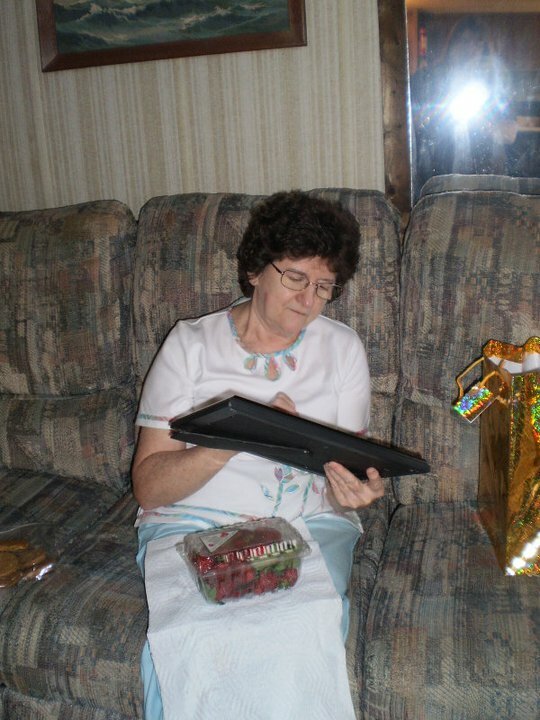 This is my mom, 2011, she is inspecting the collage photo of me and her grandkids I made for her. She loved it. FINALLY a gift she likes! She loved the strawberries and cookies as well. Mother's Day we always have great desserts. My mom, like me, loves desserts.She used to make this wonderful recipe and I have enjoying fixing it for family and friends as well. A great no bake cool dessert. Hope you enjoy it and that you will take time to LOVE your mom, even if you don't like her. 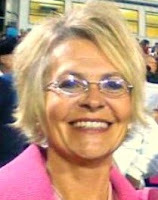 God chose her to have you, my mom and I have not always gotten along and there was a time when we did not see or speak to each other, but she is the only mom I have and I love her. 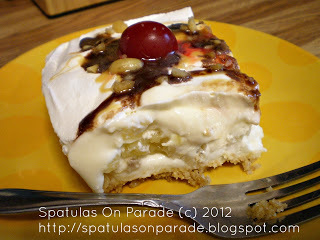 Enjoy your day, your mom and a great dessert! Being raised and living in NC, I am loyal to certain brands. Well, not really, but I do dearly LOVE Mt. 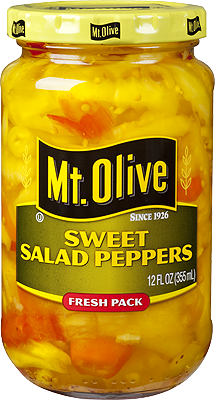 Olive brand pickles, relishes and peppers. I use them often in my salads. I wanted a salad but was out of lettuce. So, who says salad has to have lettuce? I mean, we eat tuna salad, chicken salad, egg salad, and none of these have lettuce. So I looked in the fridge to see what I had. hmmm...this was a few days before payday and time to shop again. 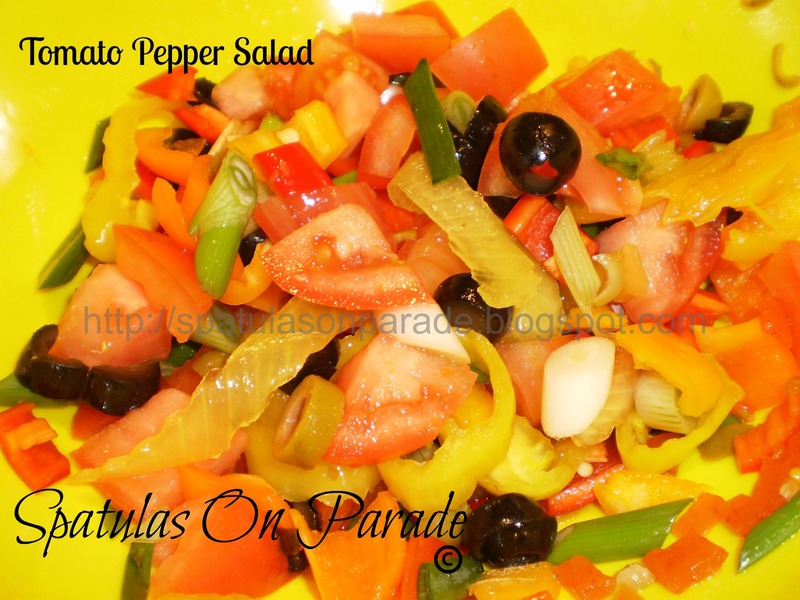 Tomatoes, salad peppers, olives, green onions, okay sounds good to me. If you are in an area that does not sell these ^ wonderful peppers, gasp!, you can find them HERE. 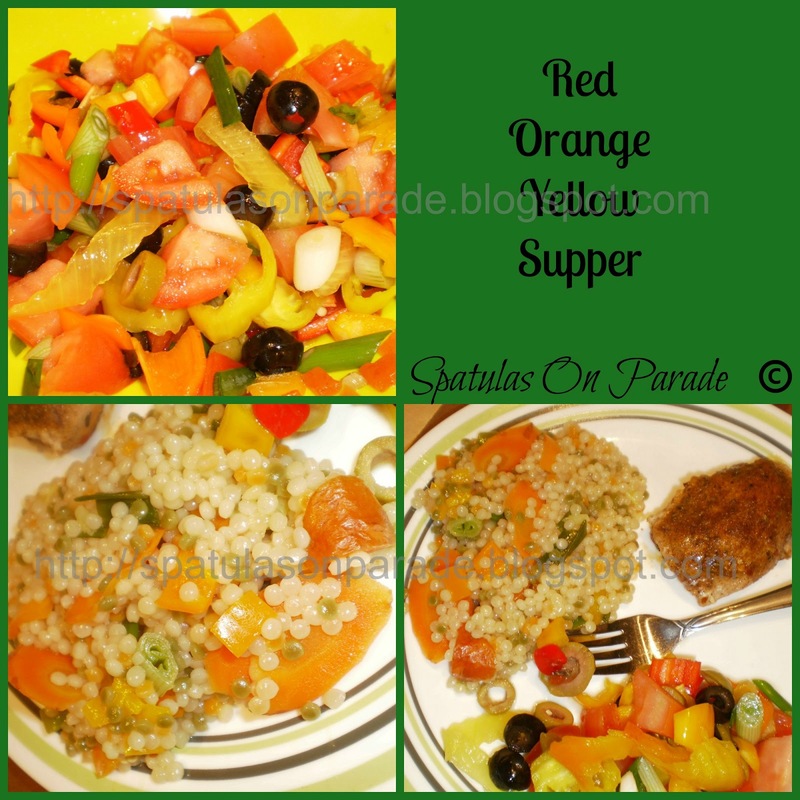 this salad was served with Israeli tri color couscous and jerk chicken. As many of you know, I purchased a Cuisinart Ice Cream maker not that long ago. We have been thoroughly enjoying it. I have done chocolate and strawberry using fresh local berries and now a sorbet. Two weeks ago I found honey powder at the Asian store. WOW, dehydrated honey, so you can use it in place of sugar and use less. Now I was onto something. 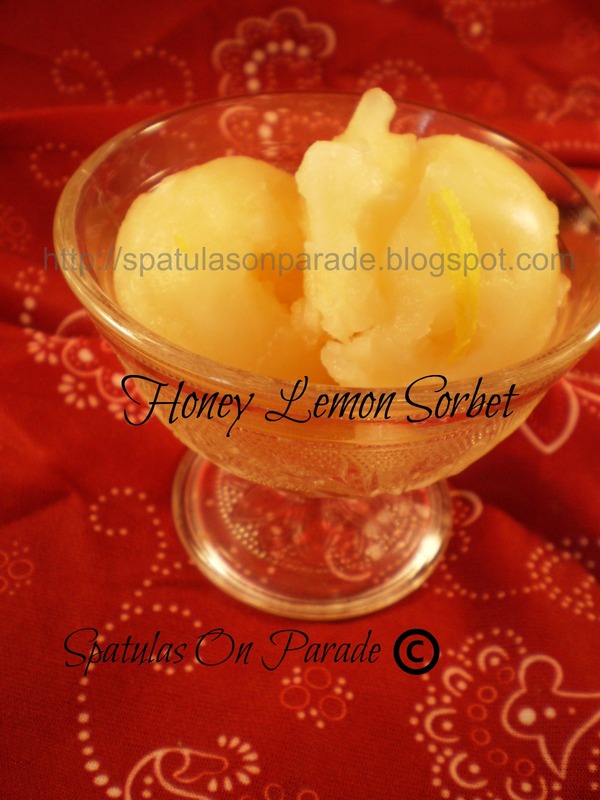 I used the honey powder and fresh lemons. Now, warning, if you don't like tart, you don't want this. It was almost jaw locking and then a touch of sweet. Perfect after our rich supper of ribs, slaw and asparagus. 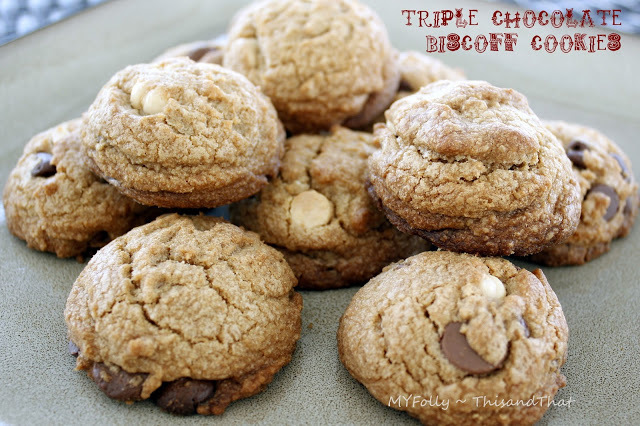 You can double this recipe as I made a small batch, one to try and two there is only two of us and we like a different dessert daily, so I didn't want a ton. Yes I know it freezes but...well the more there is around, the more we will eat. So just a small amount is best. First prepare a lemon simple syrup; water and honey powder plus half the zest. Add this to a sauce pan and simmer until all dissolved. Remove from the heat, add salt and lemon juice, then cover for 2 hours in the fridge. After it has chilled for at least 2 hours or over night, turn on the maker, pour the liquid into the frozen freezer bowl and let it mix until thickened about 15 minutes. Add the remaining zest about half way through the mixing. Transfer this into a freezer proof container for 2 hours. Scoop out and serve. My apologies. There is a snaffu with the inlinkz and we are working on the problem. Thank you for stopping by and supporting Swap N Share Sunday. 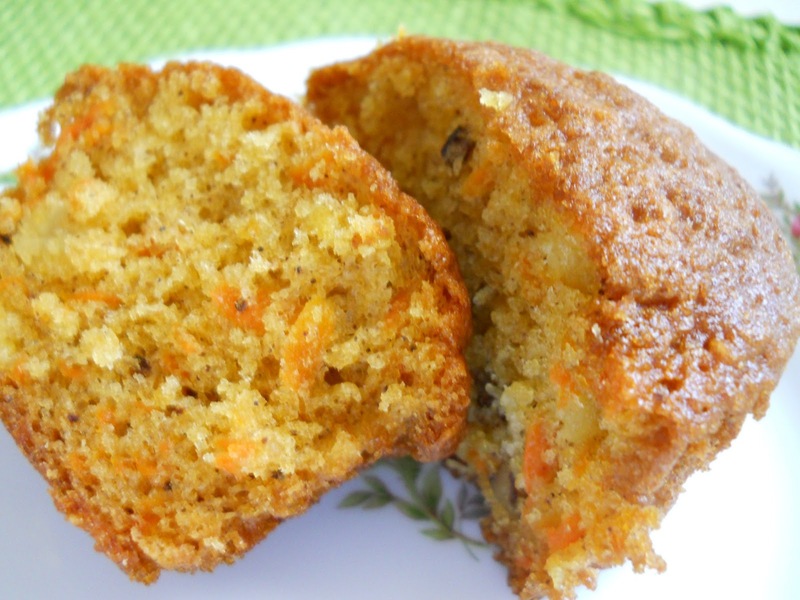 Carrot Cake Muffins submitted by Make It or Fix It. Don't they look great? mmm I love carrot cake and putting it in a muffin was pure genius.